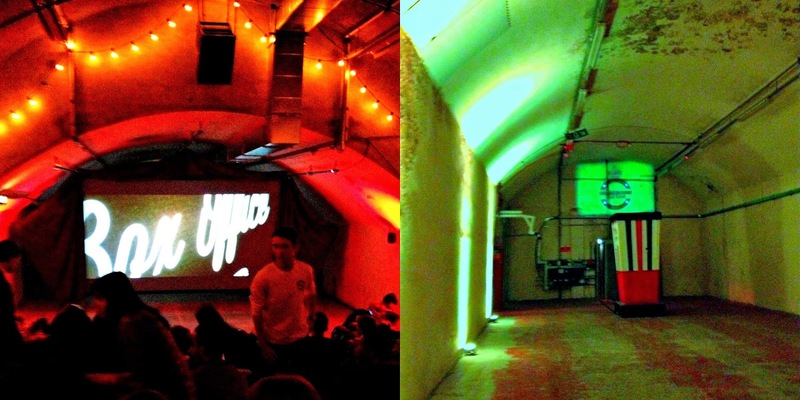 So last week, me and my flatmate spent the evening at the The Underground Film Club in the underground vaults in Waterloo. Having seen the ads in Timeout, we were very excited and it didn't disappoint. The event was sold out and the film we chose to see was American Psycho, although there are a lot of Christmas films coming up in December (I'm particularly tempted by Home Alone). Drinks weren't too pricey (it was Happy Hour after the film too) and there was ample popcorn available to buy as well as other food and snacks! The atmosphere was great - it really felt like you were in an wartime air raid shelter! You wear headphones (it was a bit like being in a silent disco) which was good if you needed to pop out to the loo as you could still hear the movie! Every so often there was a rumble overhead from the trains passing through Waterloo; it did feel very surreal and a bit like an escape from London life. I would recommend getting to the venue ahead of time as most screenings are fully booked so if you want to get a decent seat arrive early! Some people had to sit in the aisles if they arrived late! To find out more about the Underground Film Club including listings see their website. Have you been to the Underground Film Club? What did you see? I love to hear your thoughts in the comments section below! So... Where's the Evidence Base? The Guessing Game: When Will my Filling Fall Out?